Great customer support is an essential resource every growing business wants to provide. However, with high customer expectations and an increasing demand for resources, it’s difficult to achieve. And that’s where customer training comes in. When implemented it’s a fast and effective way to make the most of your resources and cover the basics of your product/service with your customers. To discover how customer training can help optimize your organization’s customer support, this guide will outline the ways training can have a positive impact. We will also demonstrate how to implement training so that you see these results yourself. A substantial part of customer support is answering the same or similar queries on a daily basis. Answering these eats up time that could be used better. With customer training, you answer the most common queries and basic questions your team is getting. Armed with that information you can create courses that provide answers to these common questions. Simply enroll your customers in these courses and they will get the information they need without having to ask your busy teams. This is a more strategic approach to, and use of, your support and customer success teams. They’re no longer bogged down answering basic questions. They can focus on having more high impact conversations with customers, and in turn, better satisfy their support needs. Simply put, you have more productive conversations with your customers. Customer training also enables you to scale your resources. Your team saves valuable time as common support queries are solved with on-demand customer education. You’re also safe in the knowledge that all your customers are getting the information they need to be successful with your product or service You simply enroll all of your customers in your courses to ensure they have quick and easy access to training. To get your customer training strategy started you need to have the right tools in place. This is where a learning management system or LMS comes in. Depending on your needs and goals, there are a number of different systems available. However, for customer training, it’s important to get an LMS that meets certain criteria. First, a system that is scalable is a must. As a growing business, you need to know that you can train and engage all of your customers in one reliable system. It’s also essential to have an LMS that lets your customers access the training on-demand at any time, anywhere, on any device. That means there are no barriers preventing your customers from completing training and impeding their success. Think “easy to use” when it comes to your LMS choice too. You want to be able to train your customers quickly and simply. And you want your customers to have a straightforward path to their training. Read our post on how to choose a learning management system to help with your search. With your LMS sorted, you can move on to implementing your customer training strategy. This means planning the training that you’ll be delivering to your customers. A lot of businesses find this part overwhelming. They think they have to start from scratch to build an extensive training catalog, but it’s not as cumbersome as you’d think. First, do some investigating. Look at your support logs and find out what questions keep coming up over and over again. Then turn to the people who know your customers best - your support team. They’ll have a wealth of knowledge on what you should be covering in customer training to cut down on repetitive support queries. From here, you’ll have a list of topics and you can start building your courses. Again, you’ll be surprised by the resources you already have that you can use to create courses. Most businesses have a help center and support guides already available to customers. These can easily be repurposed into helpful and engaging training content. Marketing materials like blog posts, eBooks and product guides are great too. Use whatever you can get your hands to start with and build from there! To add another level of sophistication, create exams out of these materials too. It enables you to ensure understanding of your content. Next, it’s time to start thinking about how to implement your training. Depending on the size of your business and the different types of customers you have, this differs. An LMS with group and portal functionality is beneficial to businesses delivering customer training. Groups are a way to automatically assign your customers into factions based on certain criteria within your LMS. So if you’ve different products/services or different pricing plans you can segment and organize your customers into groups. And each group is then enrolled in the courses that are relevant to them or given access to elective courses within that catalog. For bigger organizations or businesses who want to train different audiences, portals are an essential feature. Portals are like ‘mini-LMSs’ for different audiences. Your head of training uses the top level portal, sub-portals are created to organize customers by plan so they receive training on the features that are available on their specific plan with each having a distinct look and feel. You can then add your customers to your LMS. This can be done in a couple of ways. A popular option for businesses is Single Sign-On or SSO. Your customer can access the courses within the LMS using one set of credentials i.e. the email and password they use to login to your app. Another option is to integrate your customer management system with your LMS. When a new customer is added to your CRM, they are added to the LMS automatically so they have instant access to their training. One of the biggest benefits of an LMS is the automation features that save you time. And when you’re trying to cut down on time spent on common queries, this is invaluable. Set up automated notifications and reminders to send to customers who are enrolled in courses. If you are offering your customers certified training or have a new course revision, you can set it up that they are automatically re-enrolled in these courses. Simply pick a time period that you’d like them to re-do the training e.g. every 6 months and they’ll be re-enrolled without any further input from you. Creating learning paths is a smart way to add structure to your customer training and leads them to an overall goal. 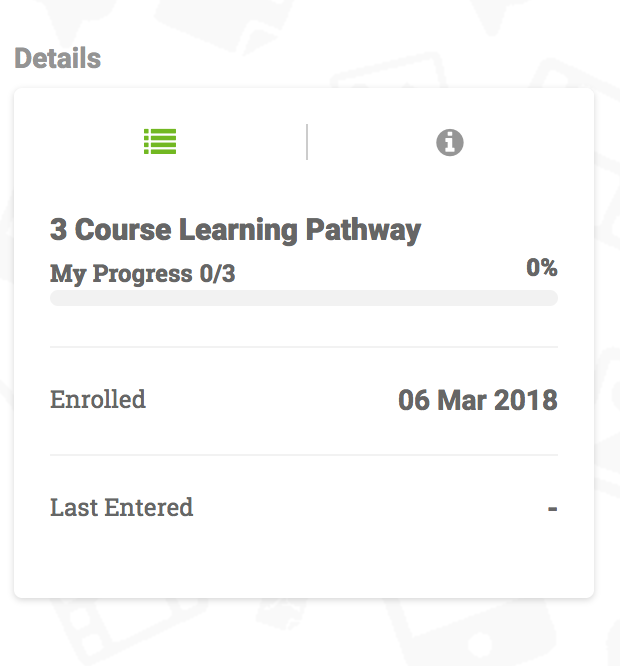 A learning path allows you to group together courses in a specific sequence and when your customer is enrolled in a learning path, they are set on a track. Perfect for customer onboarding, they take their first course and when they’ve completed it or after a certain amount of time has passed, they are automatically enrolled in the next course and so on. It’s an efficient way to enroll your learners in multiple courses at once. It also works great with training on common customer support queries. You can start with courses that cover easier questions and build up to more advanced topics so you don’t overwhelm your customers. You can even plan a mandatory learning path or group of courses to be completed before new customers can access your organization's support team. This reduces new customers asking those common basic support questions and saves you time and effort. The final stage in implementing customer training is tracking its success. This step is vital as you need to know the impact training is having on your customer support tools to identify if it is successfully reducing the volume of support tickets your customers are generating. Within your LMS there are information-filled reports to run that establish how well your training is working. For example, you can run learner progression reports that show how far a customer got in their training and if it impacted the amount of customer support queries they had. Or you can test two groups - ones that did training versus ones that didn’t and measure the support tickets raised by each group. 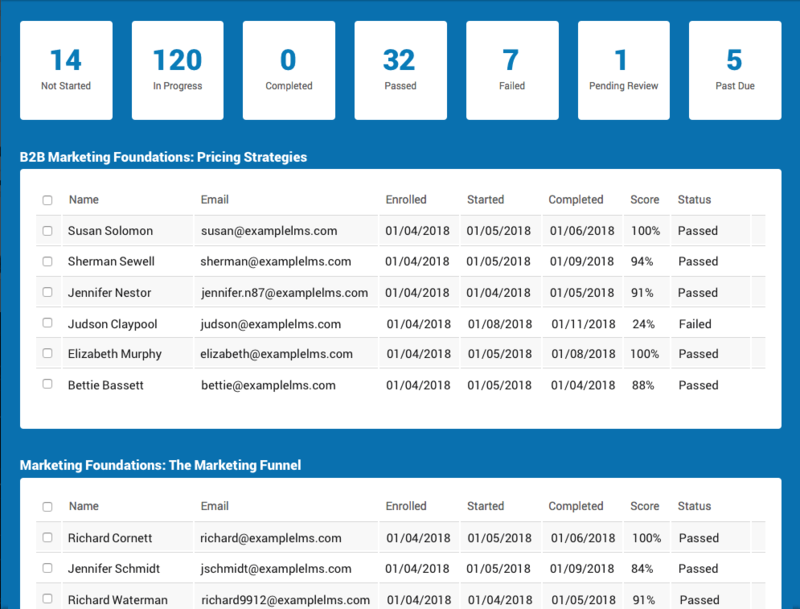 To add another level to your reporting, you can connect your LMS to your CRM via API. This will give you info about your customers from a central system of record without having to access your LMS for every report. From here you can optimize, tweak and better your training so it delivers the best results for your customers and your team. Customer training is all about giving your teams the tools they need to reduce customer support queries and maximize your customer support tools. It can save your team valuable time and money and help you have more productive conversations with your customers than ever before. Let us know if you have any questions about customer training in the comments below.